At times while listening to an album you might really wonder how this album was even made. How was someone this crazy or this creative? Where is that line drawn in the music industry? Where is the line between esteemed artistry and just pure psychopathy? French musician Melody Prochet, performing under the name Melody’s Echo Chamber, packs her newest album Bon Voyage with a million questions. Being a newcomer into the world of Melody’s Echo Chamber, a listener is pelted with an overload of a very specific type of music and type of sound. Whether or not Bon Voyage hits the mark with a listener might just be due to biased support or just an unnatural niche taste for psych pop music. After suffering from a nearly fatal accident and successful recovering, Prochet hit the charts with her sophomore album, much to her fanbase’s heightened anticipation. What Bon Voyage brings for Melody’s existing fanbase might be what they hungered for. After living through an understandable hiatus, Melody’s Echo Chamber almost oversells what she is known for. Unironically, Bon Voyage is a fast moving vehicle of musical exploration. The album itself is heavy and might be difficult for new listeners to jump “on board” with and wave “bon voyage” to what they knew about psychedelic pop. Bon Voyage is a melting pot of sound, meshing together many genres it seems, to create a whirlwind of an album. The album itself hits the ground running with “Cross My Heart”, blending together different genres and sounds right away. The album itself is extremely similar to Tame Impala’s sound, which cannot be surprising as Melody Prochet and Tame Impala’s lead singer Kevin Parker were in a serious relationship. Nevertheless, this instant relation between style is apparent, but Prochet ventures away and sprinkles in sound that Tame Impala most likely would not. Halfway through “Cross My Heart”, the song takes a hip-hop interlude which sits awkwardly in-between a sandwich of normal “Melody’s Echo Chamber” sound. This is an easy way to describe most songs on the album, each holding their own style and unusual snippet of interlude. Take Bon Voyage as a chemical reaction exploding up into the air. When the album begins, it builds and builds, finally erupting in a way that might deter a listener from continuing the musical trek into the unknown. But just like a chemical reaction, over its course, the album normalizes itself and settles down into an easier listen. The album finally into a style that a listener can follow and understand, although still rocky and somewhat difficult to understand at times. An album is an artist’s playground: that is their job after all. Of course the artistic and creative integrity of an artist relies on the album put forth, so it is understandable and acceptable for Melody’s Echo Chamber to create an album so outwardly odd, if that is what the group wanted to do. But what does this mean for fans? Is this what fans expected and yearned for during their draught from Prochet? 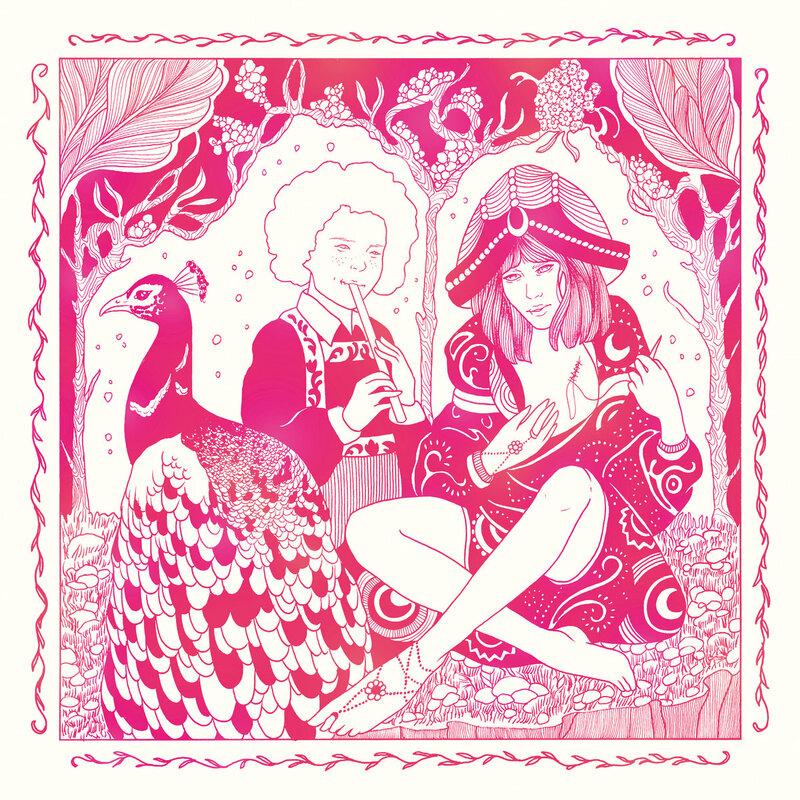 Whether Bon Voyage hits the mark for a listener relies heavily upon what the listener already knows about Melody’s Echo Chamber beforehand. A loyal fan might be happily satisfied, while a newcomer to this artist and her newest album might be completely stupified by this insane album. The hiatus that Melody Prochet took was much needed and understandable, but that hiatus could be seen as growing tension both from Prochet and fans about what music is coming up next. What did come up as a result of this rising tension is Bon Voyage and it can be seen as a scramble to smush everything Prochet and fans wanted to hear all into one album. 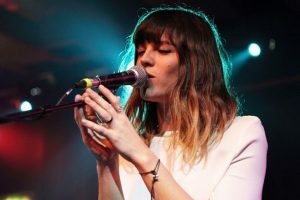 An explosion of an album, a creative exploration or a fanbase wedlock of an album: whatever Bon Voyage may come across as to a listener, it cannot be ignored that Melody’s Echo Chamber is at the height of creative ideas and musical application, organized or disorganized in its presentation.